NASCAR legend Richard Petty manages to keep busy these days. He has his own shop and museum, and, as expected, still loves to drive. That’s why in 2015 he had a , which he then donated to the Paralyzed Veterans of America non-profit organization. 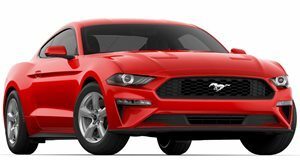 And now it appears a nearly identical version of that Mustang has come up for sale again through . The price? $69,800. It’s officially called the King Premier Edition Coupe, only 43 were built, and it comes with a ton of Petty’s Garage add-ons. Whether you’re a Richard Petty, or even a NASCAR fan, this extremely rare supercharged Mustang GT is already a collectible, and will likely only increase in value in the years ahead. Photos courtesy of /.